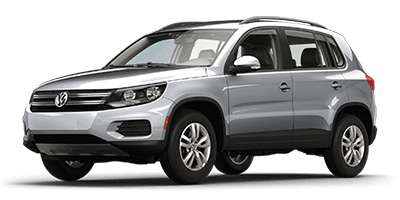 Volkswagen sport utility vehicles offer their owners a wide array of versatile features, and Street VW is here to answer any questions you may have. We invite you to check out our model research pages for detailed information on all of our SUVs to help you choose which model is right for you. Below you will find a brief summary of each Volkswagen SUV, along with a link to our inventory of that particular model. Feel free to contact our team with any questions you have about the purchase of a new Volkswagen SUV. The Sportwagen offers an SUV-like 66.5 cu.ft. of cargo space while the compact design gives it the maneuverability of a car. 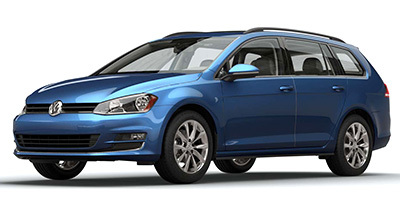 Available in a variety of colors and filled with the latest technological features, the Sportwagen may be the most versatile vehicle on the road today. The sporty Tiguan comes standard with a turbocharged 200 hp engine, and the 6-speed automatic transmission features a Sport mode for a tight, athletic feel on the road. Combine this with a multitude of cargo space both inside and on the roof, a well as the available 4MOTION all-wheel drive, and you have an SUV that can take you anywhere. 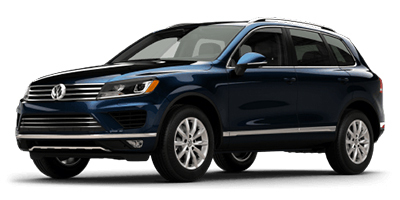 The Touareg gives you the ultimate in Volkswagen luxury without sacrificing any level of performance. Featuring a dynamic 3.6L 280-hp engine, the Touareg has a 7,716 lb. towing capacity, 4MOTION all-wheel drive, and impressive amount of cargo space — ensuring you get the the boat and your whole crew to your destination. Please contact Street Volkswagen with any further questions on these or any new or pre-owned VW models, or come visit us at our showroom in Amarillo, Texas. We have a friendly staff ready to answer any questions or take you on a test drive of any vehicle. We welcome customers from our hometown and nearby cities like Plainview, Lubbock, and Clovis.